Is the Underappreciated 1901-02 Ogden’s Tabs General Interest Set King of the 20th Century? Quick. What’s the most impressive pre-war set around? When it comes to baseball cards, as I’ve said before, the T206 set is it for me. With 520 cards, it’s massive. It has the most expensive card of all time in the Honus Wagner card and there are plenty of other reasons it’s appealing. But while that might be tops for baseball card sets, the massive 1901-02 Ogden’s Tabs General Interest issue is far more extensive and could be king of the 20th pre-war sets when you factor in just how much is crammed into it. Established in 1860, Ogden’s was a British tobacco company that produced, shall we say, a boatload of trading card sets. These were comprised largely of non-sports cards and a great many included around 25 or 50 cards — both of which were pretty standard numbers at the time for UK sets. But Ogden’s also understood the importance of sports and introduced several sets involving, in particular, things like cricket and soccer. Most of Ogden’s sports cards were printed later in the 1900s as those types of cards gained popularity over things such as pictures of beautiful women, which were a primary selling point for tobacco companies in the late 1800s. But around the turn of the century, someone at Ogden’s came up with the idea of a set that catered to, well, everybody. Realistically, there was only one way to cover so much ground and that was to make a really, really big set. Ogden’s name for this creation was the somewhat mundane, ‘General Interest’ set. The cards don’t officially bear that title on the front but it is mentioned on the backs. The issue was distributed in packages of their Ogden’s Tabs cigarette products. Like the title, you wouldn’t know that from fronts, which only tout the more generic Ogden’s Cigarettes name. Backs mention the Ogden’s Tabs product specifically along with the name of these cards. Of note is that the set has six separate series’ — A, B, C, D, E, and F. Each series has enough cards in it to make up a set but when you put them all together, you get one, massive release comprised of around 1,600 cards. Series E is the smallest and boasts ‘only’ 120 cards. Series A has 150 and Series B and D each have 200. Series F includes a whopping 420 advertised cards and Series C is even bigger at a reported 470 cards. I’m not sure how many cards were included per pack but, assuming only one, smokers would have been required to have legendary lungs if they wanted to complete all of the series’, given that duplicates would have been expected. Barring some sort of promotion to grab an entire series at once, it is difficult imagining any one person pulling off such a feat before the days of the internet or card shops. I’ve seen a few complete series’ occasionally offered in auction but have never seen an offering of the full set with all six series’. Whether this should be counted as one set or several smaller ones is up for debate among those that care to debate such things. In general, though, I group them as one set because most of them are believed to have been printed in 1901 with only Series F cited as a 1902 issue. However, those dates are somewhat up for debate. More about that in a discussion about a card a little later. Still, for terms of classification, most would probably state that this is one large set. That is because, typically, we lump cards with multiple series into one set. That is something that was just as common in pre-war times where cards were produced in the same year as it was in modern sets like, say, 1992 Fleer Ultra, which had two series’. Most feel comfortable lumping those together and I’d tend to think the same way with these. So what’s in the set? That’s what makes it special. There are big names. There are sports cards. But I maintain what makes this most special is the wide range of subjects found in the set. When you look at it as a whole, all 1,500+ cards of it, you get a pretty clear picture of the entire world. That’s something you just can’t say about most sets. Yes, there are athletes. But there are politicians and world leaders. There are renowned law subjects. There are comedians and military subjects. There are actors and actresses. And yes, the set is more than just a collection of people, too. Other types of objects are found, such as ships and famous buildings. Even things such as prize-winning dogs and bathing elephants are not too obscure for this grand release. Some cards simply depict a way of life. One, for example, features workers sorting fish. Another features a crew of carpenters working on a ship. The set surely will have objects that some collectors can live without. However, its large inclusion of so many things is one of the things that sets it apart. President William McKinley is certainly one of the non-sports standouts and his card also raises some interesting questions about the dating of this issue. While most series’, including Series B where his card resides, are believed to be from 1901, McKinley’s card mentions his September 1901 assassination on the back. If the card was printed in 1901, it would have had to have been printed late in that year. Because of that, some collectors have classified these as 1902 cards. While many of the non-sports subjects are notable, the athletes are what drives the bus for most collectors. Boxing fans, perhaps, are the ones that flock the most to the set. The release includes many of the notable fighters of the time, including John Sullivan and many more. A card of the famous James Jeffries, too, is sought after because it is viewed as his rookie. Ogden’s surely had an interest in the boxers and even created a separate set for them called the Heroes of the Ring set. That set was produced in 1901 and has a very similar look to these cards. But there’s a lot more than simply boxing here. Boxing, soccer, hockey, wrestling, golf, cycling, rugby, billiards, horse racing are among the varied kinds of sports are here. For one thing, the set is also popular for golf collectors. As I recently wrote, three of the earliest, most famous golfers (Harry Vardon, James Braid, and J.H. Taylor) are in the set. And while there are fewer of them than other collectors, cycling enthusiasts flock to the set, too. While there are several cyclists in it, the big catch here is early black star, Major Taylor, who has been introduced to many collectors in a recent television commercial for Hennessy. Don’t assume that all of these cards have little value. Taylor’s card can sell for around $50-$100 or more, depending on condition. Another key in the set is W.G. Grace, who is known as one of the greatest cricketers of all time. Grace’s name is not a big one in the U.S. because the sport hasn’t really developed here on a professional level. However, Grace’s name is certainly known around the world and his cards often sell for good money. In terms of major American sports, you’ve got hockey. An ice hockey card is found in Series E and depicts players participating in a game. What isn’t known, however, is their identities as the card’s description mentions only that it is a game in Plattsburgh, New York. 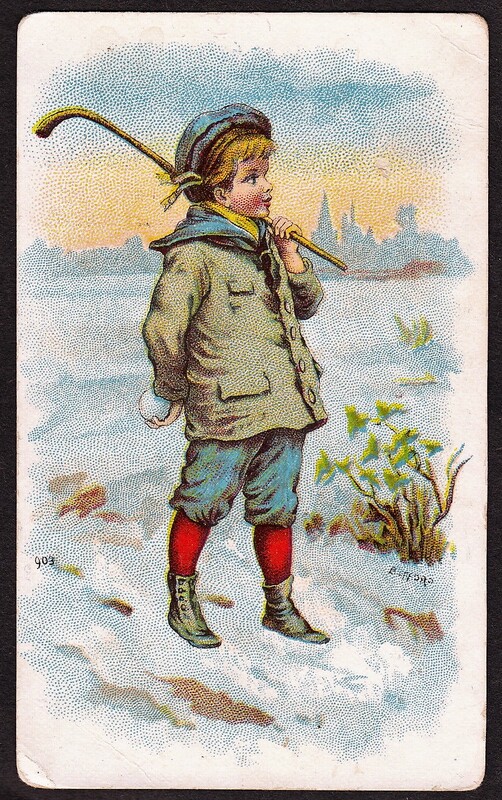 Still, the card has drawn interest from hockey collectors and it is one of the earliest known tobacco cards for that sport. Finally, from a sports perspective, it is worth pointing out that the variety shown here is not only limited to the types of subjects but also the types of images. While many are portraits or other stationary photos, there are a bunch of action shots. Many of the earlier pre-war sets provided only portrait pictures of individual athletes. But this set actually gives us some of those athletes in action. 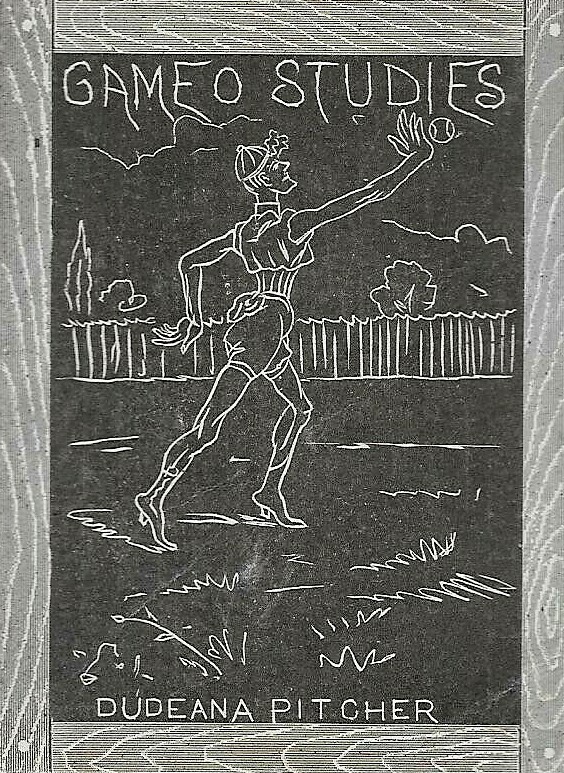 The aforementioned Vardon, for example, is pictured on a card as he is in competition with Braid. Other cards depict similar images with soccer teams battling against each other. The diversity of the set even extends to the types of pictures that are included, which was not always the case, particularly in a lot of the 50-card international sets of subjects. The set’s fatal flaw, really, is that it has limited appeal with American collectors. The primary reason for that is because, while it includes a gaggle of sports, the most popular ones with Americans, including baseball, basketball, and football, are omitted. While some American collectors may scratch their heads at that, the exclusion of those sets wasn’t an odd occurrence in the slightest. Baseball was a sport mostly, if not entirely, limited to the U.S. at the time. The same can be said for basketball, which had only just been invented in 1891. And while rugby was popular, there was little reason to include American football, which was generally only a sport played by some colleges at the time. All three sports were in their infant stages, so to speak, and would have had limited worldwide appeal. That they didn’t make the cut in an international set is no more surprising than Topps not including cricket cards in a baseball card set. Still, the exclusion of those sports means the desirability of the set will be limited for a large number of collectors and that’s really the elephant in the room here. But in terms of reaching a more international audience, I would suggest those omissions are far less important to those collectors residing outside of the U.S.
On another level, the set often is disregarded because of a lot of confusion surrounding it. I’ve never seen a master checklist for it, so even experienced American collectors aren’t even aware of all of the subjects in it. And to add to the confusion, Ogden’s created similar sets, including other General Interest cards not affiliated with any series and also a Sportsmen set. Unfortunately, all of them look virtually the same and a general lack of clarity on the sets has probably kept some folks away, too. Newbs will easily be confused by the various sets and even more experienced collectors can get confused. To me, these problems are what keeps this from being a pretty perfect set. Still, the release as a whole is one of the more noteworthy sets around and its diverse checklist makes it one of the most impressive pre-war issues from the 20th Century.